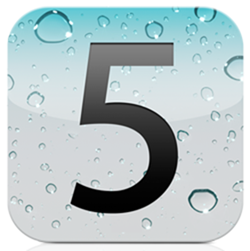 iOS 5 has been in development for the last few months, with 7 beta versions issued to registered developers so far. As the operating system gets closer to shipping stage, we’re now hearing reports that it might be scheduled to be sent to manufacturers during the last week of September in order to be installed on the upcoming iPhone and iPod touch. Despite being among one of the biggest smartphone manufacturers in the world, Apple doesn’t actually assemble any of its hardware products, instead relying on suppliers and contractors in the Far East who are responsible for providing the parts as well as assembling the devices together, before shipping them straight to Apple’s warehouses. According to an analyst Ming-Chi Kuo, Apple is getting ready to send the final version of iOS 5 straight to its suppliers next week, ‘some point between September 23 and September 30’, so that it can be loaded onto new iPhones and iPod touches. According to previous reports, Apple’s suppliers are already hard at work on the next iPhone, which is known on the Internet as the iPhone 5. Aside from its numerous hardware advancements, such as a dual-core A5 processor similar to the one found on the iPad 2 and an 8-megapixel camera, the new iPhone is expected to ship with iOS 5 on board. If Apple does indeed intend to ship the final version of iOS 5 next week, it must have concrete plans to finish the system as early as this week and issue it to registered developers for testing as soon as possible. iOS 5, as well the new iPhone, are expected to be officially unveiled sometime this month at an Apple press event, with a release likely to happen shortly after. But according to this report however, the release of the iPhone 5 will be in ‘mid October’.